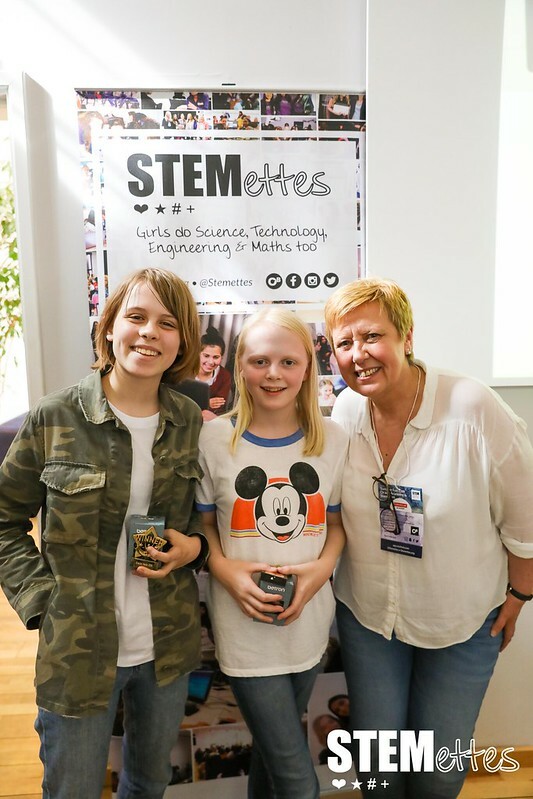 This post has been written by Aryana, 9, and Sofia, 7 who are both at primary school and attended our ‘Summer Fun with Oracle Academy & Stemettes’ event on 23 June 2018. After an early start, we arrived bursting with excitement. It was a scorching summer’s day which started with an Icebreaker to help the children make friends and learn interesting facts about each other. It was amazing seeing so many girls interested in technology! Over the course of the day we made an interactive and engaging game. Our game was about an alien who had crash landed on a planet and needed to get home to Wandsworth. The alien ‘Bob.ET’ had to find parts, around the planet, to fix his spaceship. STEMettes is fantastic, you make friends, learn about technology, gain confidence and surprise yourself. We had 57 girls (& a few boys) coding with us. Overall, they gave it all 8.52 out of 10! 87% expressed improved STEM confidence. 87% had an increased STEM network. 82% had an improved perception of STEM and 83% had increased awareness of STEM options. 83% improved their ability to carry out project work, 78% want to do coding in the future (6% hadn’t done any before, 42% had already done lots). 87% would like to come to a Stemettes event again. Thanks to Oracle Academy for partnering with us on this event, and for providing representatives to join our judging panel.